Thanksgiving is a special time of year to celebrate bounty and to spend time with family. Making crafts is a great way to bond with loved ones while creating keepsakes and decorative items that you'll cherish year after year. 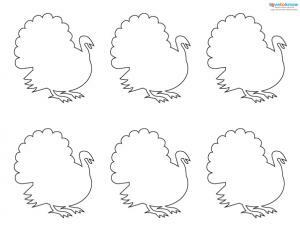 Stamping is a great way to make Thanksgiving and fall themed crafts. Use traditional rubber stamps, or search outdoors for unique patterns. The leaves in your backyard, flowers from your garden, or an apple cut in half will all make excellent stamps when dipped in acrylic paint. 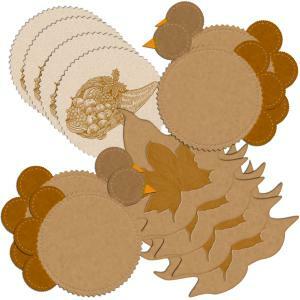 Use them to create greeting cards or party invitations, placemats, place cards, wall art or other items. Use fabric paint to create tablecloths, linen napkins, tote bags, pillows and other fabric items. Create beautiful custom wrapping for fall gifts with natural stamps and paper or a bag. You can create a pattern with the leaves, or place them randomly. 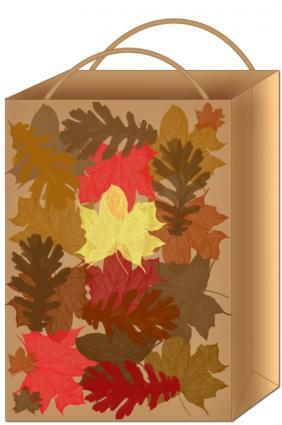 Using fall colors such as red, orange, brown, and yellow will make your gift wrap even more seasonal. 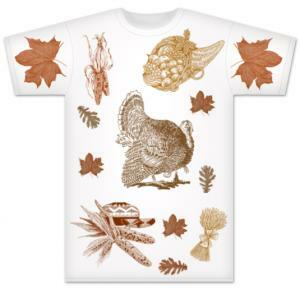 Create a custom seasonal T-shirt to wear to a holiday gathering or to give as a gift. It's hard to resist holiday fabric with little prints of turkeys, fall leaves and pumpkins in seasonal colors. Some things you can do with this fabric include making throw pillows, table cloths and runners, and making seasonal drapes and curtains. There are many other possible craft projects that can be made out of fabric. 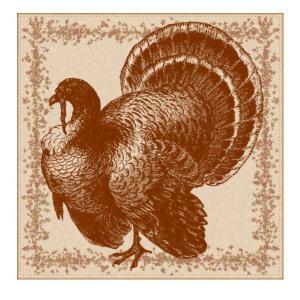 Fabric napkins are not only useful, but are also a good way to add a decorative touch to a Thanksgiving table. Felt is a great fabric for Thanksgiving and fall crafts. It's inexpensive, available in a wide variety of colors, and easy for beginning crafters to work with. One useful and decorative felt craft is making coasters to keep holiday tables safe. You can decorate your finished coasters with stamps, fabric paint, or decorative stitching if you'd like to. A centerpiece for your table is a craft that will get a lot of attention during the big holiday dinner. Centerpieces for Thanksgiving are often made out of Indian corn, decorative pumpkins, dried grasses, fall leaves and twigs. For something a little different, buy a large glass vase or a trifle dish and fill it with apples, or simply arrange a small collection of pine cones that have been painted gold at the center of the table. Here are some other centerpiece ideas. 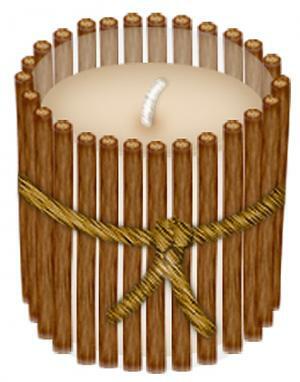 Candles create a warm atmosphere and can be made more festive in a holiday holder. 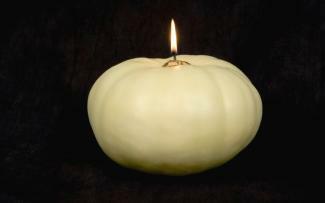 A small group of these votives makes a nice centerpiece by itself, or use the candles as part of a larger arrangement. 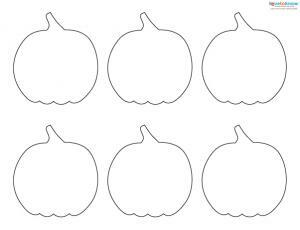 Pumpkins are synonomous with the harvest season and can be incorporated into holiday decor. If you're welcoming people to your house for Thanksgiving, a great way to add some holiday cheer is with wreaths that you make yourself. A plain grapevine or a straw wreath makes a good base for a fall door or wall decoration. A wreath can also be decorated and used as a centerpiece on a holiday table. 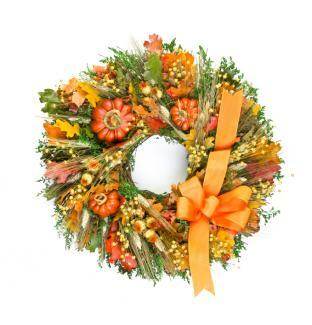 Highlight the beauty of the season by decorating a wreath in a fall motif. You don't need to be terribly crafty to make something that friends and family will remember for Thanksgiving. Using a bit of creativity and taking your cues from the colors and symbols of the season, you can put together some beautiful decorations or thoughtful gifts to celebrate this time of bounty and togetherness.